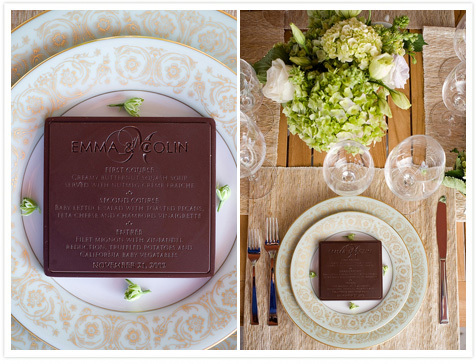 I know a lot of you would agree that chocolate is the perfect wow-factor for any event. 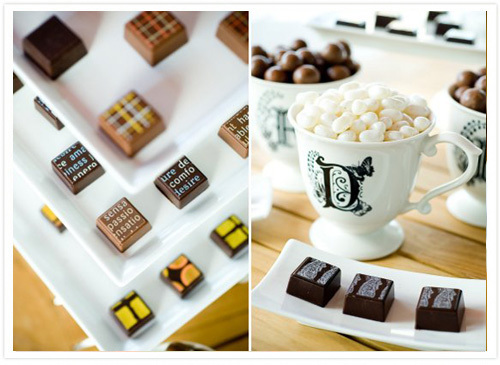 So how about having custom-made gourmet chocolate truffles for your guest favors or better yet, for your menu? Yes, I am not kidding! Delysia Chocolatier, an Austin company, can further sweeten your wedding day with their decadent chocolate line customized with your logo or monogram. 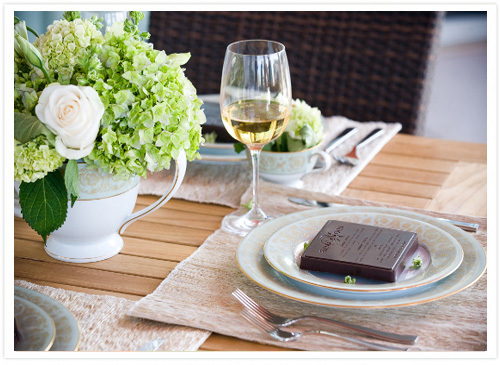 Your guests might not wait for your first course when they see this. Don’t you want to just take a bite? with your guests. 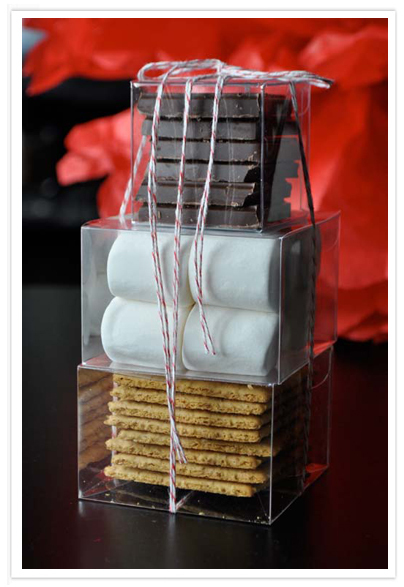 Why not try this lovely packaged S’mores kit favors from Twig & Thistle. These would be a nice treat for your out-of-town guests and even great for holidays! You can even try pairing these homemade S’mores with another homemade treats like hot chocolate mix drink or jams to create the perfect outdoor-sy mood.